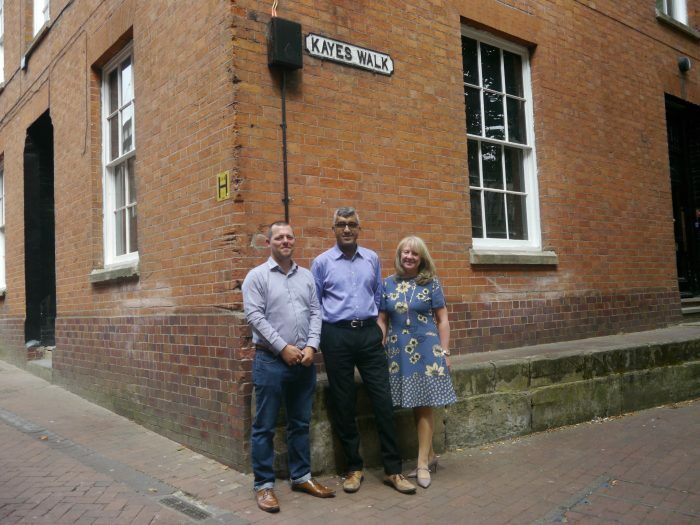 Duncan McKeown of Exeid, Harvey Pabla and Jackie Pabla, both from QualitySolicitors Yates & Co.
Nottingham based commercial property specialists Exeid has achieved a landmark sale in Lace Market on behalf of QualitySolicitors Yates & Co. In a time of reported property uncertainty for the UK, East Midlands properties are selling faster than almost anywhere else. The shortage of available properties on the market meant the Grade II listed building was a rare find and enabled Exeid to achieve a sale within a few days from instruction by the seller Quality Solicitors Yates & Co. The 3472 square foot property at 5 Kayes Walk is in the city centre and provides quality office space, but Quality Solicitors Yates & Co wanted space to breathe and grow. On the firm’s move, Commercial Property Sales Director at Exeid Duncan McKeown said: “QualitySolicitors Yates & Co made a decision to sell their owner-occupied property to better meet their business and client’s need. 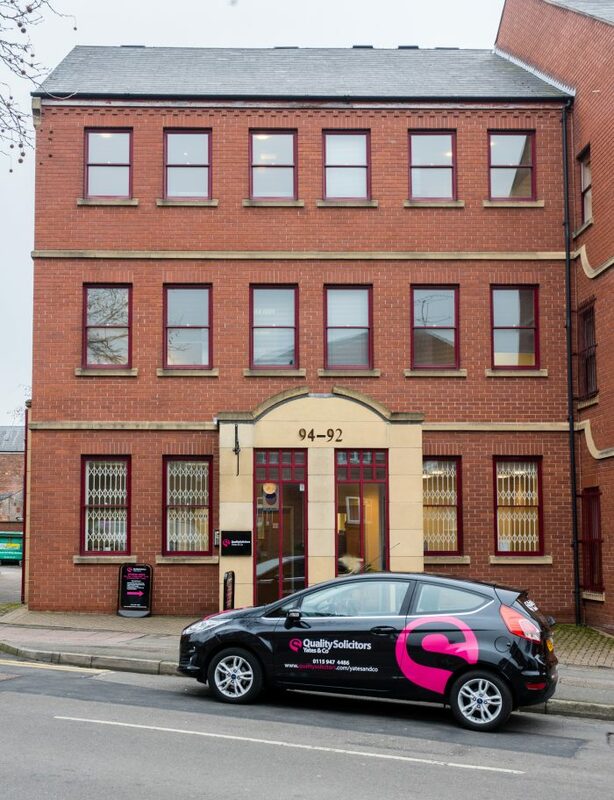 QualitySolicitors Yates & Co relocated to Arboretum Gate, 92-94 North Sherwood Street, Nottingham NG1 4EE, which is an easy walking distance from Victoria Shopping Centre. Partner at QualitySolicitors Yates & Co Harvey Pabla said: “We already know the Nottingham community well and are in a position to offer quality services to even more people right in the heart of the city. QualitySolicitors Yates & Co’s new offices. As a firm experienced with supporting others with all the necessary conveyancing to buy and sell commercial property, QualitySolicitors Yates & Co handled all legal aspects of the sale across the six-month deal themselves. 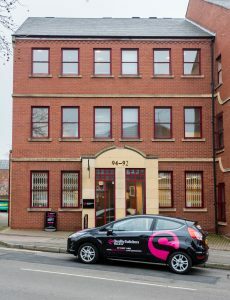 The sale marked exciting and new territory for Exeid as it was the company’s first experience selling a building in Nottingham. Exeid’s Duncan McKeown said: “This is the first building we have sold as we traditionally focus on lettings, however expect to facilitate more building sales in the future. Hopefully this will be the start of many more.